Please make payment of Rs. 250 (Junior Level) / Rs 500 (Senior Level) for Registration Form and submit details in online Registration Form. ** You can make payment online via Debit-card/Credit Card and NetBanking, We accept all banks cards. ** 100 multiple-choice questions to be attempted during 90 minutes. ** 4 marks awarded for every correct answer and 1 mark deducted for every wrong answer. ** Registration open from July 1, 2018 to 31 Dec 2018. Let me know, can a student of M.Com External participate in this competition in senior level? Please tell, when will the center toppers list be declared, we are eagerly waiting for the same. Please issue the list of center toppers of NATS 2018-19. When result will be declared of exam which was held in Feb 2019, it is showing on notice board that expecting on 2nd March, still not declared, we all are eagerly waiting for this result. I have completed my registration. 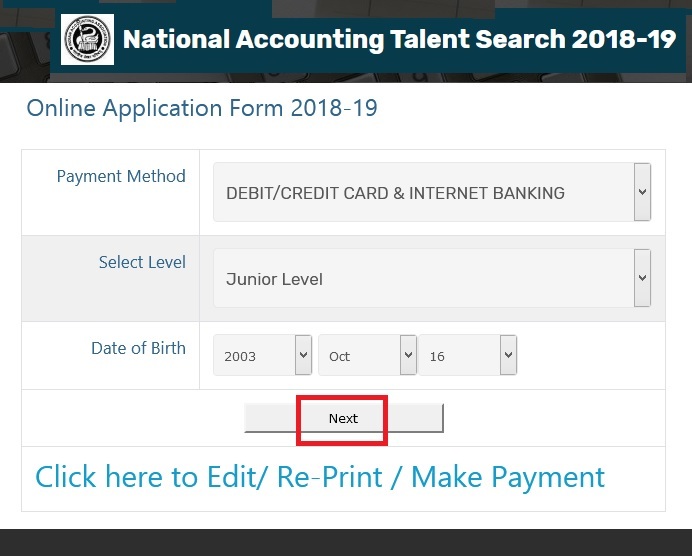 How can I get my admit card after registration? From where can we get the previous year question papers of NATS exam. Please send the link to download the papers. Please tell, how to rectify the errors in registration form after completion of the registration? This site is not reachable. Please check it. I want its description. This exam website is not reachable (or) server issues. Please check and send some solution for this exam.